I was dreamin’ when I wrote this, forgive me if it goes astray. But when I woke up this mornin’, could’ve sworn it was judgment day. The sky was all purple; there were people runnin’ everywhere. Tryin’ to run from the destruction, you know I didn’t even care. Prince captured the zeitgeist of the late 1990s in his classic pop hit, ”1999,” although he wrote the song during the early 1980s. As the year 2000 approached, fears of a looming apocalyptic event increased, even while investors on Wall Street seemingly lost their minds with bullishness and greedy optimism. During that period, the S&P 500 Index, the Dow Jones Industrial Average, and the Nasdaq Composite Index all hit new all-time highs, buttressed by the euphoria of the unlimited possibilities of the Internet, the easy money policies of the Federal Reserve, and the illusion that the most expensive stock market ever accurately reflected the strongest economic fundamentals ever. The contrarian position in 1999 turned out to be correct on two counts. With the beginning of the new millennium, the feared apocalypse failed to materialize, and the historic bull market of the 1990s finally came to an end. 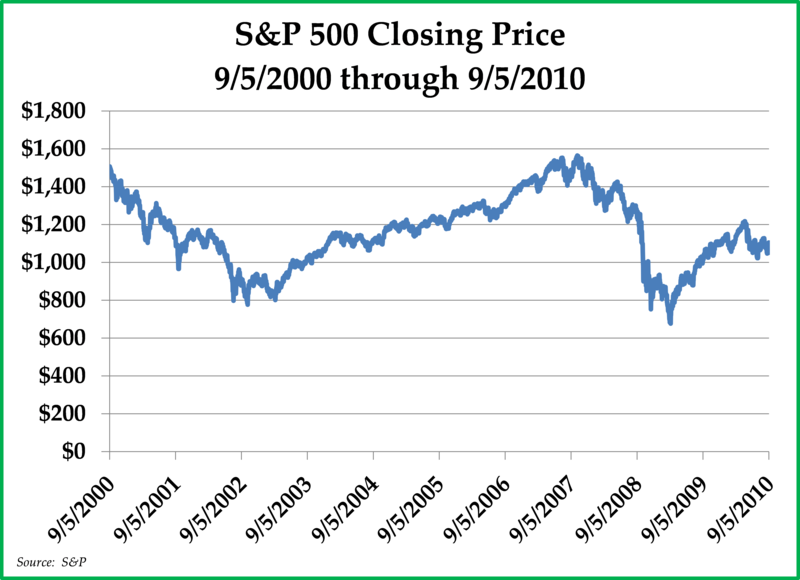 Investors were reminded once again that reversion to the mean is a powerful force in the financial markets and that ”this time“ is not different; after its peak on September 5th, 2000, the S&P 500 Index went on to generate a negative 1.3% per annum total return during the subsequent decade (see chart to the left). Today, investors often ask us whether the current bull market in stocks is soon coming to an end. We obviously have no crystal ball with which to answer this question, but analyzing historical precedents can often provide useful insights. As Mark Twain once said, “history doesn’t repeat itself, but it often rhymes.” We can identify important similarities between the current market environment and that of the late 1990s. However, we would also point out several equally important fundamental differences that exist between 1999 and 2018. As we try to mitigate risk and also take advantage of attractive opportunities for Appleseed Fund’s investment portfolio, we believe that it is important to synthesize both the similarities and the differences in forming an investment outlook that optimizes the tradeoffs between investment risk and return. On many valuation metrics, the current U.S. stock market is more overvalued than at any time period over the past one hundred years, except for 1999. Back then, the U.S. stock market had never been more overvalued, driven by publicly traded dot-coms with no profits and little sales and sky-high valuations for large-cap growth companies like Cisco Systems, Coca-Cola, Microsoft, and General Electric.Growth stocks were on a scorching multi-year tear, trouncing the investment performance of value stocks. Index funds, which had become momentum funds due to the increased concentration of large-cap growth stocks within the S&P 500 Index, were generating significant increases in fund inflows. Due to valuation concerns, certain value investors like Warren Buffett warned investors against chasing performance by throwing money willy-nilly into the stock market at sky-high valuation levels.Today, many value investors are, once again, warning that the current U.S. stock market, overvalued as it is, will likely generate sub-par returns going forward. Furthermore, once again, growth stocks are all the rage. Investors are once again moving aggressively into passive index funds, which are in turn driven by the high market cap weighting of large-cap growth stocks that include Facebook, Amazon, Apple, Netflix, and Google. 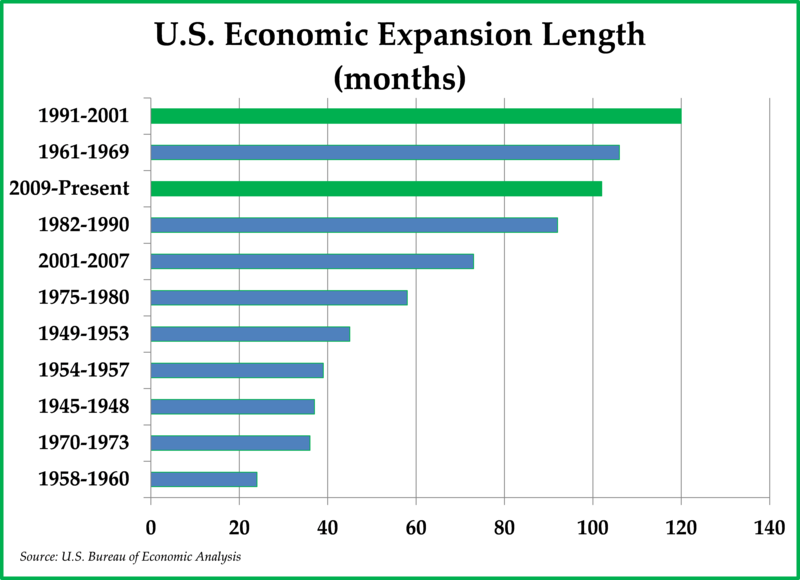 In 1999, the economy was in its 8th year of expansion since the previous recession. Back then, job growth was rapid, and inflation fears from an overheating economy were increasing. Fast-forwarding to today, in 2018, the economy is in its 9th year of expansion since the Financial Crisis. Jobs are currently growing today as well, and fears of an overheating economy are similarly increasing. 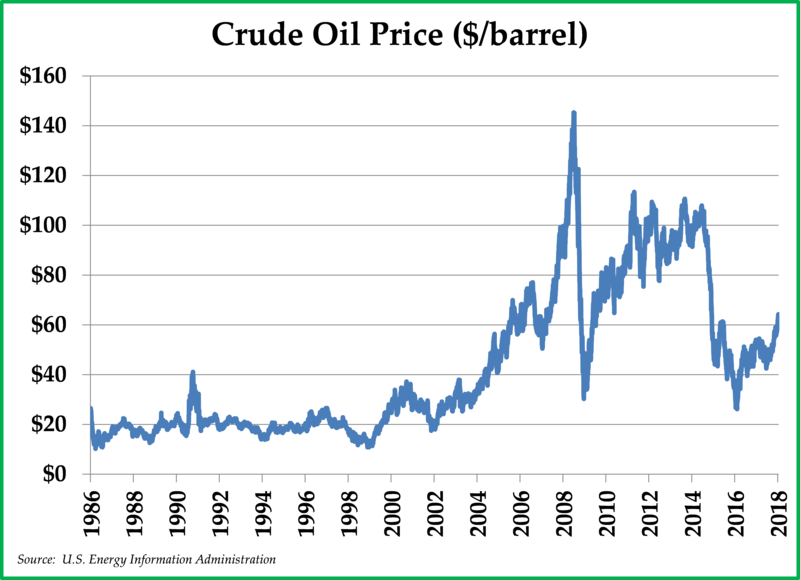 In 1999, oil prices were rising quickly, albeit from a very low base, having tripled from the $11/barrel trough that occurred briefly in 1998. The Federal Reserve tried to combat the inflationary pressures related to rising energy prices by steadily hiking interest rates. 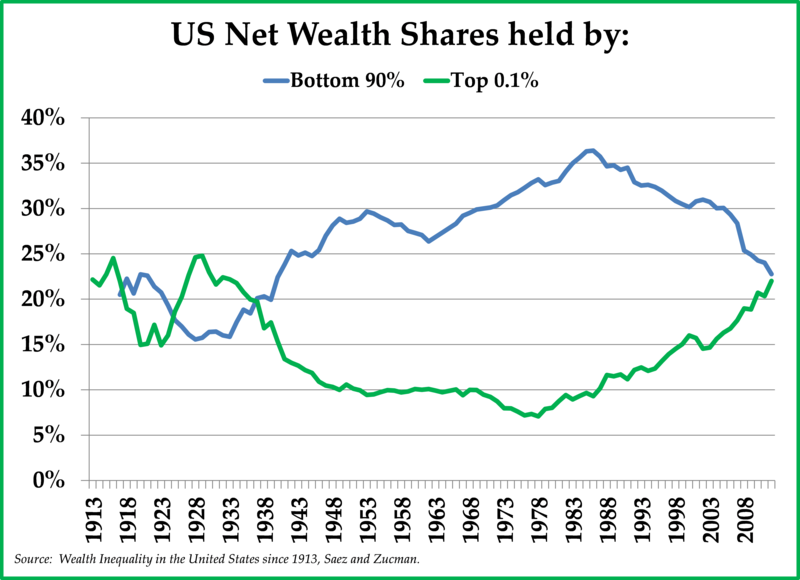 In 2018, West Texas Intermediate crude oil is currently trading above $65/barrel, more than double the $26/barrel trough price that oil was trading at just two years ago. Relatedly, the Federal Reserve is, once again, hiking interest rates. Importantly, interest rate hikes preceded not just the top of the U.S. stock market in 2000, but also the stock market tops in 1928, 1987, and 2007. Interest rate hikes make it more difficult for debt expansion to continue because it becomes increasingly expensive to service the loans. In the late 1990s, investors were euphoric about technology stocks in general and dot-com stocks in particular. The Internet economy was booming, and the share prices of new economy stocks were shooting to the moon even while old economy stocks languished. Companies which added ”dot-com” to their names instantly experienced surges in their share prices. Investors who avoided investing in dot-coms valued solely on the potential for ”eyeballs” were accused of being Luddites who failed to understand the Internet economy. A generation later, investors are once again euphoric over technology stocks in general and especially any stocks which have added the term ”blockchain“ to their name. Technology-savvy crypto-currency investors are investing in bitcoin, ethereum, and various initial coin offerings with abandon while poking fun at “no-coiners” who allegedly cannot comprehend the current revolution taking place in money. Many of the same investors who steered clear of dot-coms because they were impossible to value are similarly staying away from crypto-currencies for the same stated reasons. During both eras, investors who stepped aside from the equity markets to own cash, high grade bonds, and other less risky assets were then and are today mocked. Investors warning about profit margins and P/E ratios reverting to their historic mean levels to the detriment of future investment returns were then and are today ridiculed. Investors in gold were then and are today criticized for being excessively gloomy. Furthermore, the difference in investment returns between those who embraced risk and those who felt like it was the wrong time to be seeking risk were then and are today nothing short of remarkable. In 1999, the best investments to own were eyeball-valued dot-com stocks, while today the best investments recently have been white-paper-valued crypto-currencies. While the similarities between 1999 and the present era are remarkable, the differences are equally if not more remarkable, with the more important differences defined by the weakened financial position of the United States. In the late 1990s, the United States boasted the strongest economy in the world with little to challenge the dollar’s multi-decade status as the world’s reserve currency. Gold was trading at less than $300/ounce and, more importantly, few U.S. investors even paid attention to the gold price. For that matter, few U.S. investors paid attention to the long-term threat that China represented to U.S. economic hegemony. Today, the deteriorating political climate is quite a bit more worrisome. 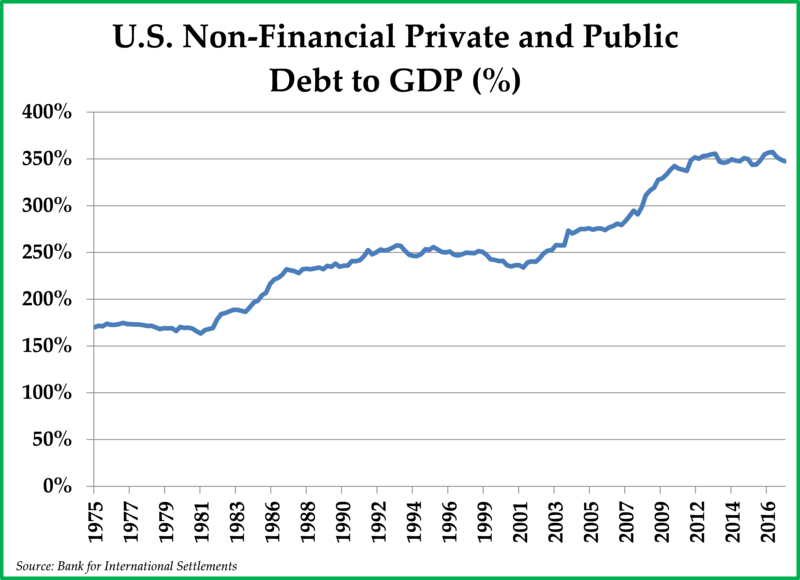 The absolute level of debt in the United States today, relative to GDP, is 348% versus just 241% in 1999. 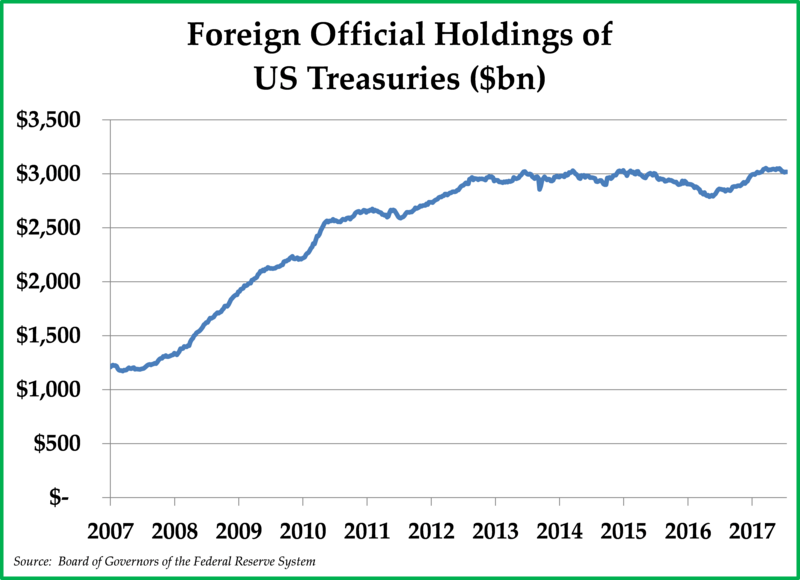 These debts, which include consumer, corporate, and government debt, represent an all-time high for the United States relative to the size of its economy. Because so much of our national income is now being diverted to servicing these debts, GDP has been growing at an anemic rate since the Financial Crisis, and, given the high level of already-existing debt, it seems unlikely that debt could be expanded by a factor of 2x from current levels to boost the economy further. The U.S. economy did carry debt in 1999, but not to the same extent as today. In addition, the Federal Government boasted a budget surplus in 1999, very unlike the fiscal situation today. Fortunately for U.S. borrowers, interest rates are markedly lower today as compared to 1999. Back then, interest rates hovered around 6% for 10-Year Treasuries, whereas today’s interest rates are just 2.6% (see chart to the right). Lower interest rates make it easier to service the debts described in the previous section. 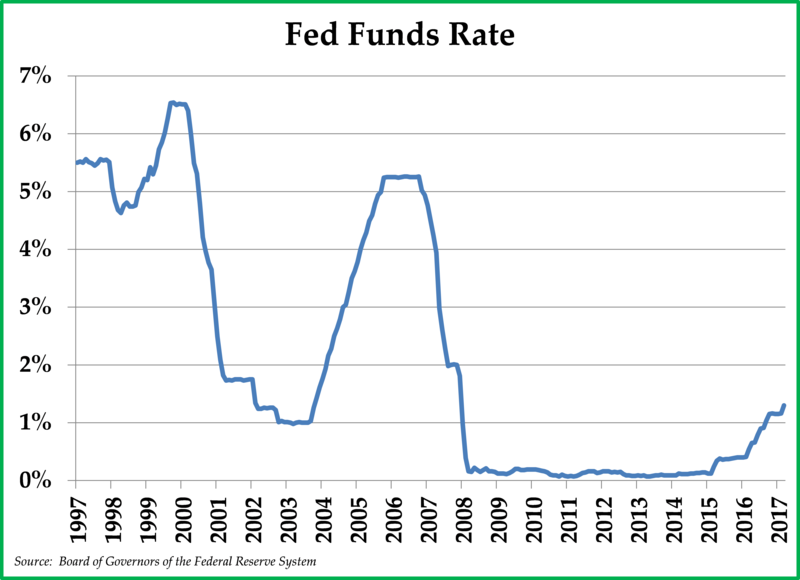 However, if long-term U.S. Treasury interest rates were to revert again to the 6% rate that existed in 1999, given the currently high level of Debt to GDP in the United States, the inevitable result might be a painful economic recession. To prevent such a disaster from happening, the Federal Reserve stands ready to buy Treasuries, if need be, to keep inflation-adjusted interest rates capped close to zero percent. As long as interest rates remain at or below the inflation rate, policymakers hope that the economy will eventually outgrow its enormous debts. Wealth and income inequality have risen dramatically during the past twenty years, resulting in a rise of political populism and the election of Donald Trump as President of the United States. In 1999, the wealth gains of the stock market boom were more widely distributed with significant participation from individual retail investors. With a rising stock market, the voting public was largely content with the status quo, electing centrist politicians. In 2018, corporate buybacks and central bank asset purchases have driven stock market gains. Furthermore, despite a record stock market, 42 million Americans today rely on food stamps to feed their families, while more than 42,000 Americans died in 2017 due to opioid-related drug overdoses. Until economic growth once again lifts the economic prospects of the middle class, economic populism will likely remain an important force in U.S. politics. The world’s population has aged since 1999, and so has the population of the United States. Each day, 10,000 baby boomers retire and begin collecting Medicare and Social Security benefits, and that trend should continue until 2029. Due to the pressures created by a surging number of retirees and fewer workers to support those retirees, state and local pension plans across the United States are finding themselves significantly underfunded, despite the remarkable stock market rally which has taken place since the Financial Crisis. This funding problem loomed off in the far distance in 1999; today a slow-moving crisis has already arrived in cities like Chicago where municipalities are cutting critical services such as education and law enforcement to fund pension obligations and pay interest expenses. China’s economic and military power has increased dramatically during the past 30 years and especially since the current millennium began. 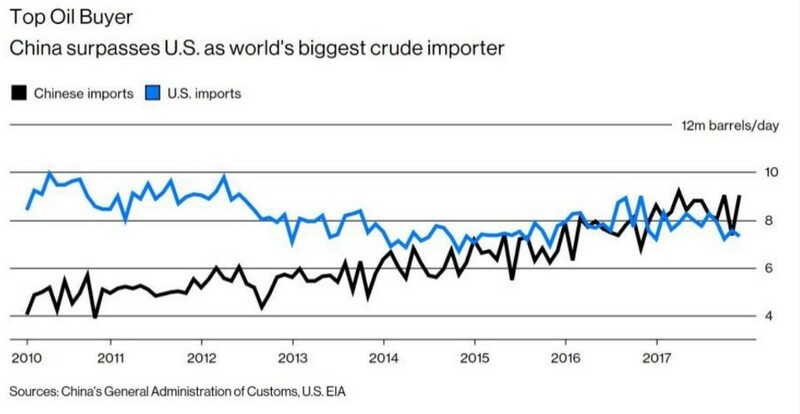 Rem arkably, China has recently surpassed the United States to become the top oil importer in the world (see chart above). As a result of China’s newly found economic strength and its increasing role in the world’s oil markets, the U.S. dollar’s firm grip as the world’s reserve currency has been loosening. A growing number of countries such as Russia, Iran, Angola, and Pakistan are forming agreements to transact with China in Chinese Renminbi rather than in U.S. dollars. This trend, should it continue, could materially reduce the foreign exchange reserves that foreign countries are currently holding in the form of U.S. Treasuries, resulting in dollar depreciation and, in all likelihood, higher interest rates. Foreign central banks were willing to fund U.S. deficits by purchasing U.S. Treasuries in 1999, but that no longer appears to be the case. Foreign official holdings of U.S. Treasuries have remained flat over the past four years (please see chart on the previous page), which means that foreign central banks are no longer funding U.S. deficits. Not coincidentally, the U.S. dollar has finally started to weaken and, at the same time, interest rates have been increasing. These differences are important, in our view, because they show the weakened economic power of the United States relative to the rest of the world and particularly with respect to China. Considering both the similarities and the differences, we draw several insights from the comparison of the current period relative to 1999. 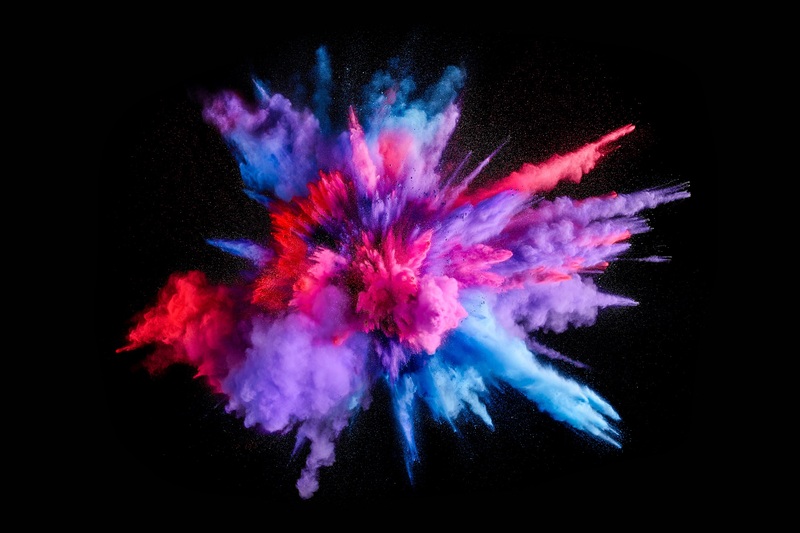 We purposefully form these insights as a long-term view which spans the coming decade rather than a short-term view spanning a few months or even a couple of years. In 1999, it made prudent financial sense to avoid the most expensive financial assets, such as dot-com stocks and large-cap growth stocks. Today, we believe it to be prudent to steer clear of the most expensive financial assets, which include crypto-currencies and, once again, overvalued growth stocks. However, it would be unwise to just focus on valuation. While markets are once again remarkably overvalued, the political and geopolitical environment could not be more different from what it was in 1999. There were plenty of places for investors to hide in 1999, including cash, U.S. Treasuries, and value stocks. Today, by design, it is comparatively more difficult for investors to find a place to hide. Investing in a broad market index of U.S. stocks was a poor decision in 1999, and it is likely to turn out to be a poor decision today. From the peak in September 2000, the annualized rate of return of investing in the S&P 500 Index was -1.3% during the subsequent decade. Today, we expect the future real return of investing in a broad market index like the S&P 500 Index to be disappointing for investors who are extrapolating the returns of recent years far out into the future. In 1999, the dollar was strong, attributable to a Federal budget surplus and a widespread belief that the United States was the engine that powered the global economy. Today, the U.S. budget deficit is deeply in the red and likely to worsen in future years due to the recently passed tax cuts and the fact that 10,000 baby boomers are entering retirement each and every day. Importantly, unlike 1999, foreign central banks are no longer financing U.S. deficits by accumulating U.S. Treasuries. Given this backdrop, we expect the value of the dollar to depreciate in the coming decade. 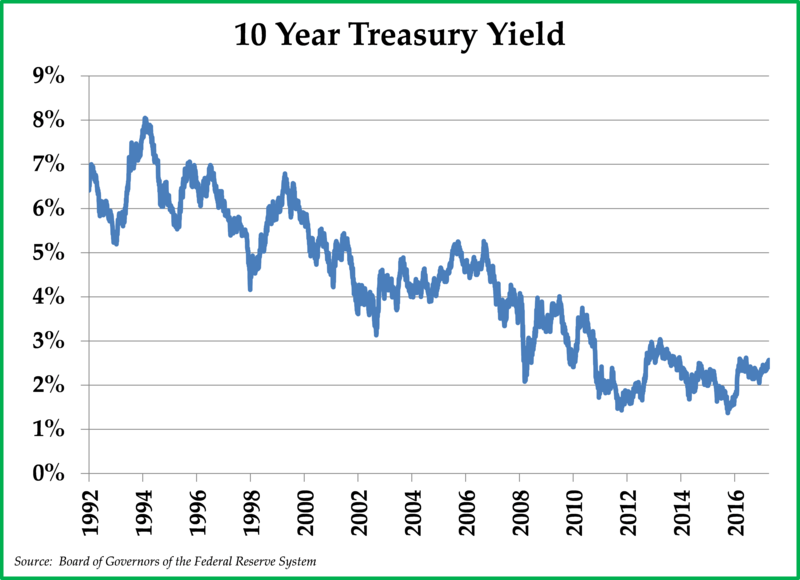 In 1999, with U.S. 10-Year Treasuries paying 6% and with inflation at just 2%, U.S. Treasuries were an outstanding investment, generating a 4% real return for seemingly little risk. In 2017, faced with U.S. 10-Year Treasuries paying 2.6%, a flattening yield curve, and economists urging the Federal Reserve to adopt an inflation target greater than 2%, long-term U.S. Treasuries look much less attractive. In order to reflate the economy, central bank policy appears to be targeting negative real returns for U.S. Treasuries. Unlike 1999, 2018 does not appear to be a friendly environment for bond investors. While the long-term promise of the Internet in 1999 proved to be real, the techno-optimism of investors was far too ebullient, and horribly painful losses occurred in the years following the bursting of the dot-com bubble. While crypto-currencies and associated blockchain technology also show much promise, we expect that most of the crypto-currencies with multi-billion valuations today will eventually turn out to be worthless. Bitcoin, the most prominent crypto-currency, could turn out to be the Google of crypto-currencies and increase greatly in value in the future, but it could just as easily turn out to be the AltaVista of crypto-currencies. 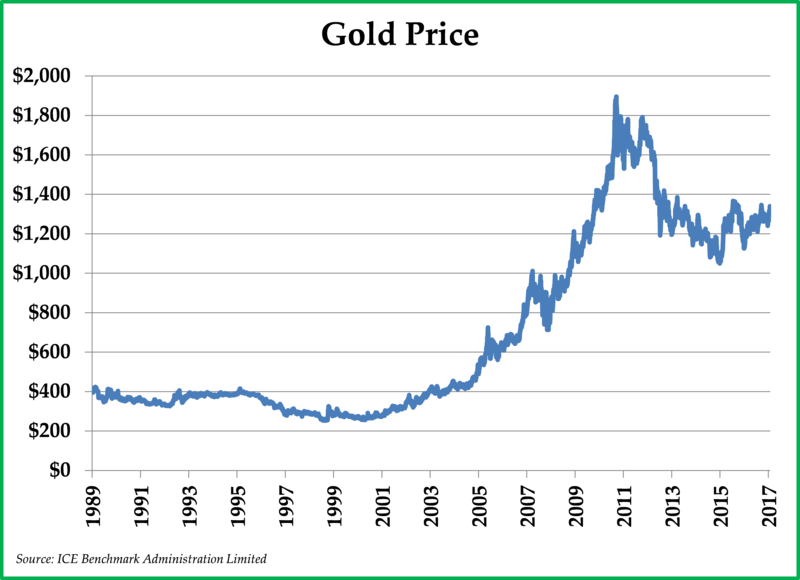 During the ten years beginning on 12/31/1999, gold generated an annualized return of 14.1%, despite central banks buying Treasuries and selling gold. Today, central banks, as a group, are no longer buying Treasuries, and they are buying gold aggressively. If we are correct in our call about the dollar and if we are correct in our expectation that real interest rates will remain negative as long as the Debt/GDP ratio remains unsustainably high, we expect gold will generate an attractive real return during the coming decade. While the S&P 500 Index was at its most overvalued level in history in 1999 by many metrics, value-seeking investors were able to find attractive investments by picking stocks in a disciplined and selective manner. In 1999, real estate investment trusts and small-cap stocks were incredibly cheap; both asset classes generated attractive returns even while the S&P 500 Index languished for a decade. In 2018, we think that pockets of relative value exist in foreign stock markets, and we think pockets of relative value exist in companies whose earnings benefit from a weaker U.S. dollar. As the U.S. stock market has become increasingly expensive, and as U.S. fundamentals have increasingly worsened, we have continued to maintain an overweight in foreign stocks, gold, and companies whose earnings should benefit from a weaker dollar. We wish you and your families a happy, healthy, and prosperous 2018. We deeply appreciate your trust in asking us to manage your capital and plan your financial future. Should you have any follow up questions, please do not hesitate to contact Colin Rennich (colin@appleseedfund.com).